View looking west from the interior of the Tomb of the Sons of Hezir. 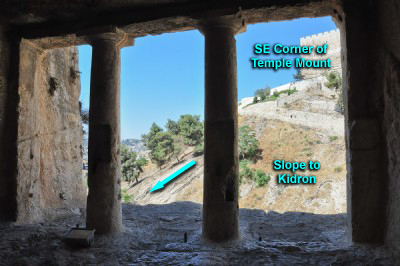 In the upper right the white wall is the southeastern corner of the Temple Mount. The trees in the center are on the steep slope that leads down into the Kidron Valley.